Purchase Inquiry Schedule Test Drive What's your car worth? 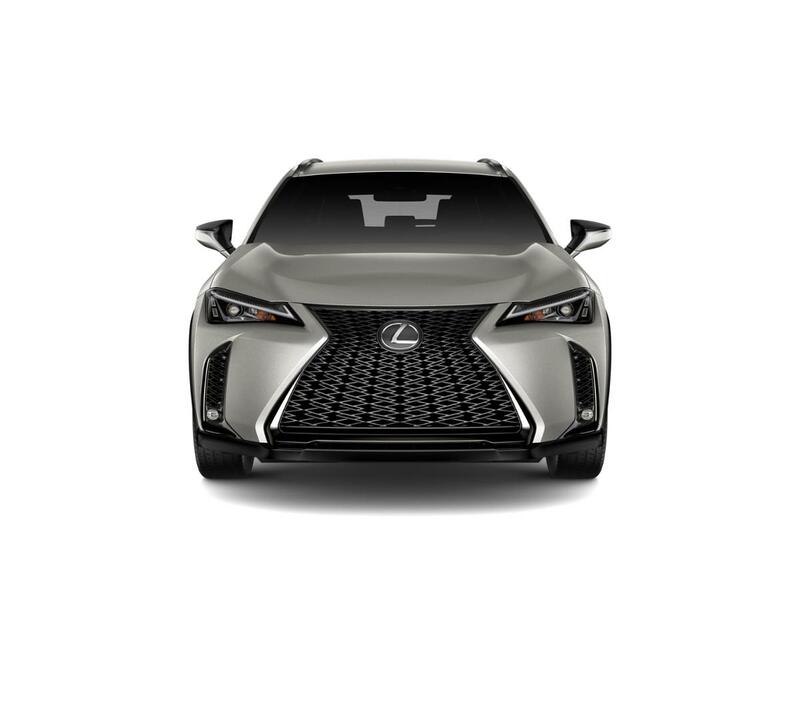 Available on approved credit to very well qualified customers through Lexus Financial Services and participating Lexus dealers on a new 2019 UX 200. Security deposit required with exception of prior Lexus Financial Services financing history and/or Lexus Financial Services tier rating in which a security deposit may be waived. Not all customers will qualify. Offer based on MSRP of $34,903 including delivery, processing and handling. Offer already includes $2,000 in Lease Cash incentives applied as a capitalized cost reduction. Monthly payment may vary depending on final price of vehicle & your qualifications. You pay $0.25 per mile over 10,000 per year. See dealer for vehicle and lease program details. Must take delivery by 04/30/2019. Offer available in AR, LA, MS, OK, TX. Lexus Financial Services is a division of Toyota Motor Credit Corporation (TMCC). TMCC is the authorized attorney-in-fact and servicer for Toyota Lease Trust. Offer available on approved credit to very well qualified customers through Lexus Financial Services and participating Lexus dealers on a new 2019 UX 200 LUXURY. Only a limited number of customers will qualify for advertised APR. No down payment required if qualified. Must take delivery from available dealer stock by 04/30/2019. See your local participating dealer for other finance program limits, qualifications and terms. Lexus Financial Services is a service mark of Toyota Motor Credit Corporation. Offer available on approved credit to very well qualified customers through Lexus Financial Services and participating Lexus dealers on a new 2019 UX 200 F SPORT. Only a limited number of customers will qualify for advertised APR. No down payment required if qualified. Must take delivery from available dealer stock by 04/30/2019. See your local participating dealer for other finance program limits, qualifications and terms. Lexus Financial Services is a service mark of Toyota Motor Credit Corporation.